It’s a great pleasure to meet our new vape friends here and we sincerely hope you guys have a happy & easy shopping experience at BuyBest. Since many friends might use our site for the first time, we think it should be a little bit helpful if we give you a quick shopping guide. So here we go!! 1. Click “Join Free” at the top right area. 3. 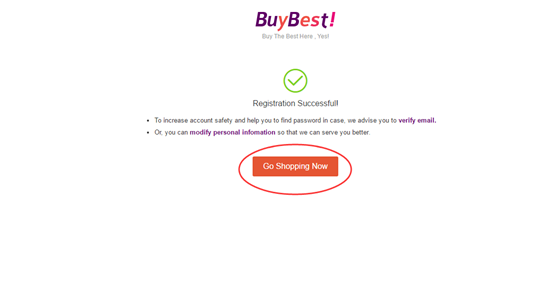 When registration completes, you can click “Go Shopping Now” to start shopping or click “verify email” to secure your account safety and get more benefits. 4. Click “Go Shopping Now” and enjoy your shopping on BuyBest. 5. 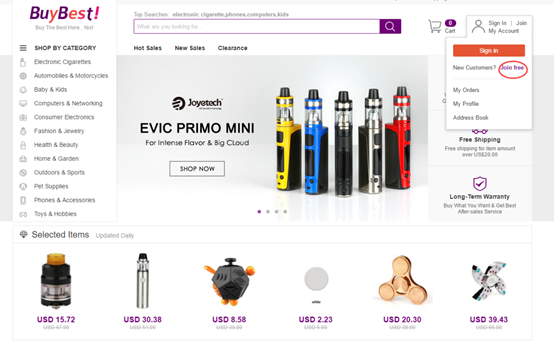 You can either shop by category at left side of our homepage or input the product name in the search box. 9. Shipping & payment section. We offer free shipping for item amount over USD$20,otherwise, you need to pay USD$3 for shipping fee. Now we only accept customers to pay US dollars through PayPal. With PayPal, you may pay via MasterCard, VISA, American Express, Cashu, Webmoney, Boleto, Discover, and bank transfer (debit card). 10. Lastly, you can confirm your order items, leave a message if you have any requirements and also input a coupon code if you get one. Click “submit order” to finish payment. 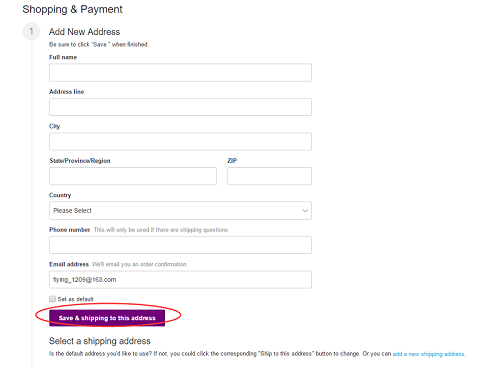 Once you complete the payment, you will receive an email from PayPal to inform you. Within 24～48 hours of your order being shipped, you will receive an email with your tracking number. Hopefully this guide will make it easy for you to shop at BuyBest. And if any problem, please feel free to contact us. Might I suggest you actually put a link to your site…maybe embedded on your pics or something? Just a thought. 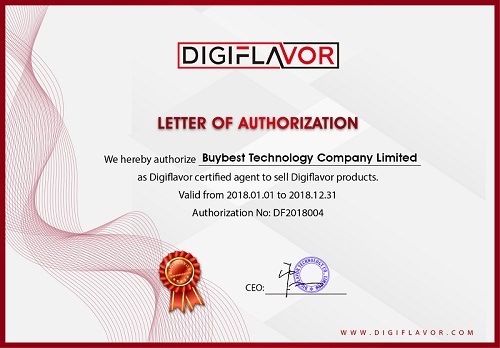 We understand your concerns on ordering from a new store, but please don’t worry, we promises that all products we offer are 100% original and we also have official authorization certificates from the manufacturers. Here we paste some to prove. 2. 3 or 6 months warranty. 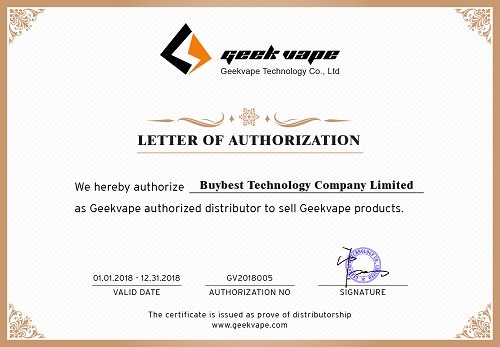 We have certain guarantee period for our products from the date of delivery, e-cigs batteries and MODs usually come with 3 or 6 months warranty, please check the guarantee section in item description carefully. Video/video link or picture must be straight to the point and show the problem clearly. Serial Number for electronic cigarette product is a must. According to Aspire, VOOPOO and Innokin’s requirement, all their items also require security number. Thanks all of you for the interest! Enjoy shopping at Buybest! Have a nice day! 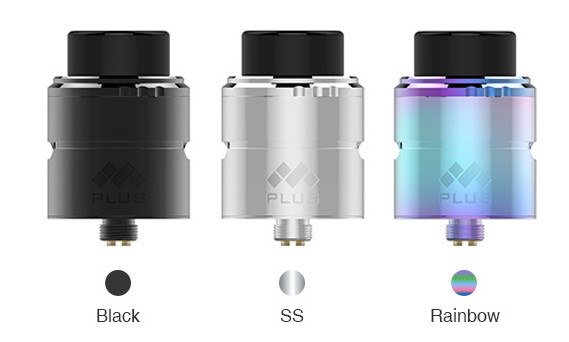 So here comes a new atty from OBS - the Crius RDA, which incorporates most good features of the Crius line. The major difference lies in the innovative high-tech DIY deck and the additional squonkable bottom pin. The build deck comes with a Zirconia white piece that is claimed to be high-temperature resistance,corrosion-resistant and anti-oxidant. 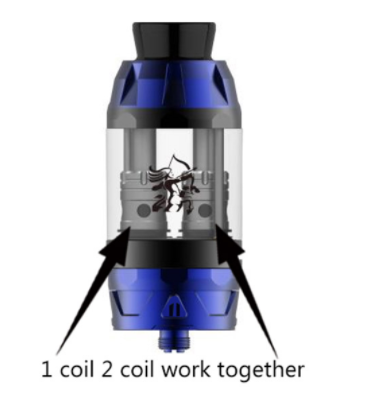 The single screw & clamp type build system makes it pretty easy for dual coils building. 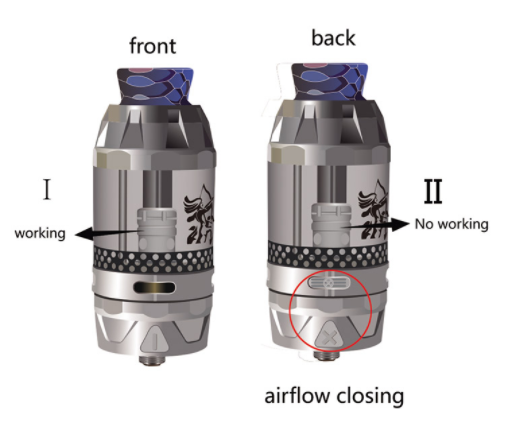 As for the airflow, it’s a little bit similar to Cheetah RDA, adopting 4 adjustable side air holes, which forms a 360°cyclic airflow system to produce more vapor clouds as well as intense flavor. Moreover, it includes a bottom feeder pin that allows you to pair it with your most squonk mods. Plus the high quality 304 stainless steel build body, wide-bore PEI drip tip and detachable structure, this OBS Crius RDA will satisfy both DIY users and squonker lovers. Only $25.91 with free shipping at Buybest now! IJOY Capo series add a new member now, namely Capo 216, which consists of a dual 20700 squonk mod and the Combo SRDA. The squonk mod features a stylish appearance with various color blending and streamlined shape with compact size. It uses the IWEPAL designed chipset that support a max output power of 216w. The snap fit type battery door with lock design make it easy to replace cells and also avoid the cells slipping off accidentially. You can also use two 18650 batteries with the included 18650 adaptor. The 10ml squonk bottle is made of environmental friendly silicone and transparent ABS, more durable and easy to squeeze juice. The Combo SRDA comes with a semi-rebuildable system that allows you to freely change between pre-made coils and rebuildable decks. Moreover, the pre-made coils can also be reused by changing cotton, which will extend the coils’ life span as well as saving your money eventually. 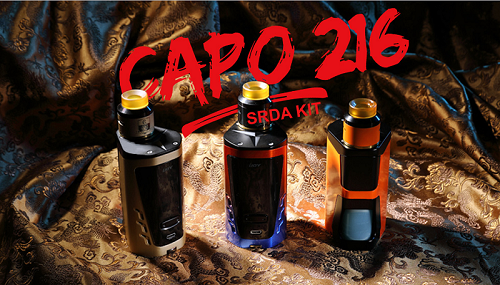 This Capo 216 SRDA Kit is only $53.59 at Buybest now and you can enjoy free shipping for order over $20. To celebrate our start here and thank everyone, we have prepared a special offer for you guys. 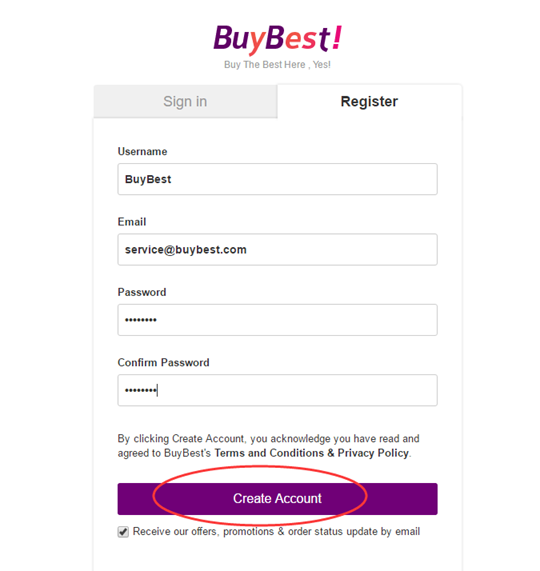 Please visit https://www.buybest.com/activity.html#activity to enjoy the best deals. 5 good vape products are available at super cheap prices. Stock limited, valid only for 7 days now, grab your chance. 1.Products on promotion sales cannot be changed to another color or another product during or after order checkout, otherwise, buyers need to pay the price difference. 2.New users can only get the special price for 1 item for the first order. It means that when users buy 2 or more items (either the same product or different products), the price of the second one will return to the original prices. 3.Free shipping to any order amount over $20. Wish you enjoy shopping at BuyBest. Have a nice week! Hey guys, when you check our new arrivals, please don’t forget we also have some good stuff on sale. Though many of them have been on the market for quite a while, some items are still recommended in the community based on their good quality & performance. So why not take this chance to grab some of your favorite gears for backup? Discount is huge, stock is limited. Hurry up!! Have you imagined enjoying two juice flavors in one tank without empty and clean the tank first? Now your dream come true with this newly released Qtank by HENGLING. 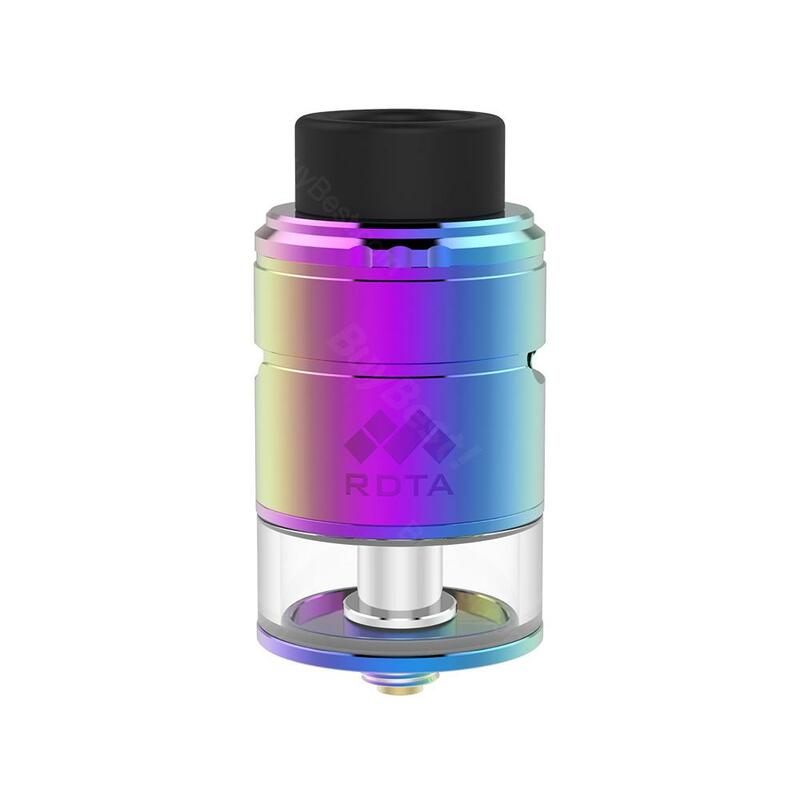 It seems to be a new brand, but the idea they adopt on this Qtank is really impressive - an adjustable dual coil system that enables you to switch between two juice flavors in one tank through a simple gyration design. It’s 5ml in juice capacity with convenient top filling, suitable for most users’ daily needs. The adjustable bottom airflow together with the unique coil design bring smooth vapor & pure flavor. In addition, this Qtank features an optimal cooling system design on drip tip to avoide hot vaping. It’s definitely a pioneer product that will lead a new trend. It will be in stock at Buybest soon, only US$29.8 with free shipping. We know OBS released many good rta tanks but this time they finally introduce their very first box mod, called as Bat, which is also paired with the 5ml Damo subohm tank, making a perfect combo not only in appearance but also in performance. The Bat is a dual 18650 battery mod with a max output power of 228w, supporting both hard and soft modes. 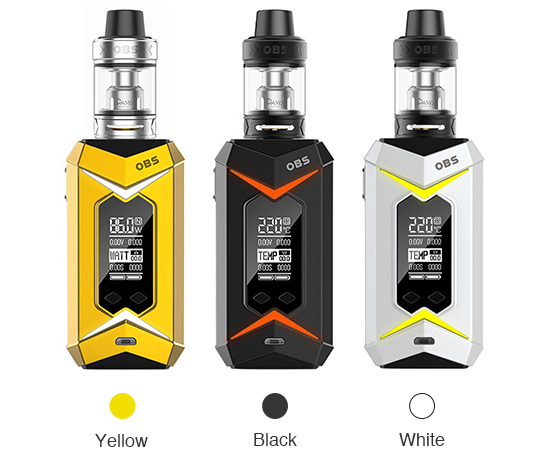 It features an ergonomic design with soft edges, a little different from the usual rectangular box mods, which give you a comfortable hold feeling and convenient operation together with the big side fire button. With a large OLED screen on the front cover, it enables you to set and check all vaping data clearly. Moreover, it comes with a 7-color LED light option, which means you can change different light according to your mood. 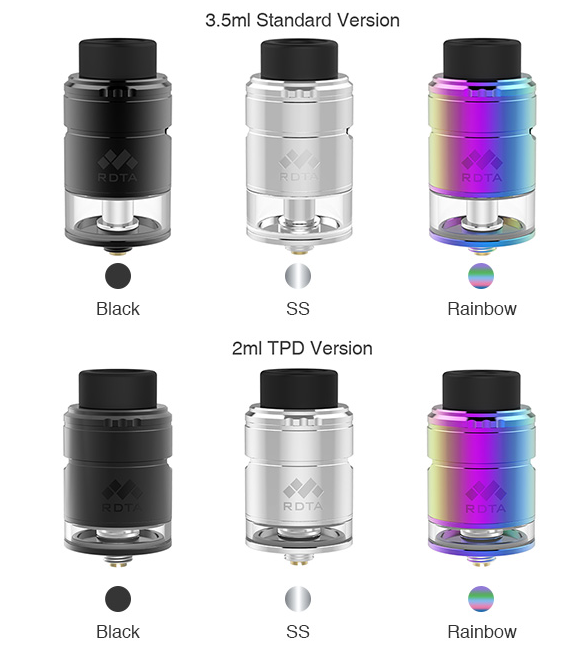 As for the Damo subohm tank, it adopts all-new M2 & M6 coils that will bring amazing vapor and flavor together with the nicely designed adjustable bottom airflow system. Filling it is way easy just by pulling up the top cap and the anti-leakage base design also make it more promising. If you dig this OBS Bat Kit, don’t hesitate to grab one, 3 colors for your choice. It’s only US$62.48 at Buybest with FREE SHIPPING. Will be in stock soon!! Suorin Air seems to become a new popular vape pod after Juul in the past year, which prompts this brand to introduce their second vape kit, Suorin Drop, in a short time. Deffering from his brother, this new vape pod features a very cute water-drop shape design, which will catch the eye of small vape gear lovers, especially female vapers. It’s quite a simple device like Suorin Air, composed of a 2ml refillable cartridge and a 300mAh built-in battery that can be fully charged in 45min via micro USB charging. The Suorin Drop adopts button free design, which means it can be automatically activated when you inhale. Overall, it’s a super compact vape kit for vapers who are looking for an easy to use device or prefer stealth vaping. Now you can get this Suorin Drop kit at US$31.15 with free shipping. We are so excited for the upcoming Chinese Spring Festival, which is the most important festival in China. It’s a great time for family reunion and greeting the new year together. For such a big day, how can we not share the joy with you? So here it is, we prepare a big sale to return you guys for the trust & support from the beginning. This time, we offer a 10% off discount which is valid from Feb 1 to Feb 22. You can use it across the whole store excluding the new users’ special deal. And please notice that we will stop shipping from Feb 16 to Feb 19. So if you have any purchase plan, better move fast now, or your order might be delayed. Worldwide free shipping for each order over US$20. Thank you & enjoy a nice shopping experience at Buybest. Isn’t this the time that all Chinese shops shut down for a month? To celebrate the upcoming Chinese Spring Festival, we also prepare a long lasting flash sale except for our 10% off discount site wide. It’s definitely a good chance for you guys to grab some good vape gears at super cheap prices. Every 3 days, there will be 6 nice items updated. And the stock of each item is limited, so if you are interested in any item, better move fast now. The first round of flash sale items as below. Ends at 23:59PM on Feb.3,2018. The second round of flash sale items as below. Ends at 23:59PM on Feb.6,2018. Next round of flash sale will start from 00:00AM Feb 7 to 23:59PM Feb 9. Check the product list in advance. We know Vaporesso made a hit with their very first vape gear Target and then quickly occupied a place in the market. Recently they introduced a new box mod, namely Switcher, which adopts high quality zinc alloy built material with replaceable case design, which give you a solid feeling as well as allowing for personal customization. It comes with the newest OMNI Board 2.6 that features the simplest operation with newly added graphical virtual keys, unlock button, puff number statistics and high power protection. This Switcher box mod is also available with a LE version which features Lighting Effects, adding more fun during your vaping time. Vaporesso also pair this box mod with a 5ml NRG tank or 2ml NRG Mini tank as a full kit. The NRG/NRG Mini adopts a slide filling system, adjustable bottom airflow and a variety of GT cores. With these interchangeable GT coils designed for wide range wattages, different vapers will enjoy their sweet spots. This full Switcher kit will bring you ultimate vaping experience. Now we are doing a 10% off Chinese New Year Sale, you can get this Vaporesso Switcher Kit with NRG tank at US$60.87 or with NRG Mini tank at US$60.41. Here comes the third round of our flash sale. Product list as below. Ends at 23:59PM on Feb.9,2018. Next round of flash sale will start from 00:00AM Feb 10 to 23:59PM Feb 12. Check the product list in advance. Here comes the fourth round of our flash sale. Product list as below. Ends at 23:59PM on Feb.12,2018. Next round of flash sale will start from 00:00AM Feb 13 to 23:59PM Feb 15. Check the product list in advance. Last year, Vapefly impressed us with their first MTL sum ohm tank, the Nicolas, which was claimed to be a strong competitor of Aspire Nautilus 2. And it indeed gained good reputation. 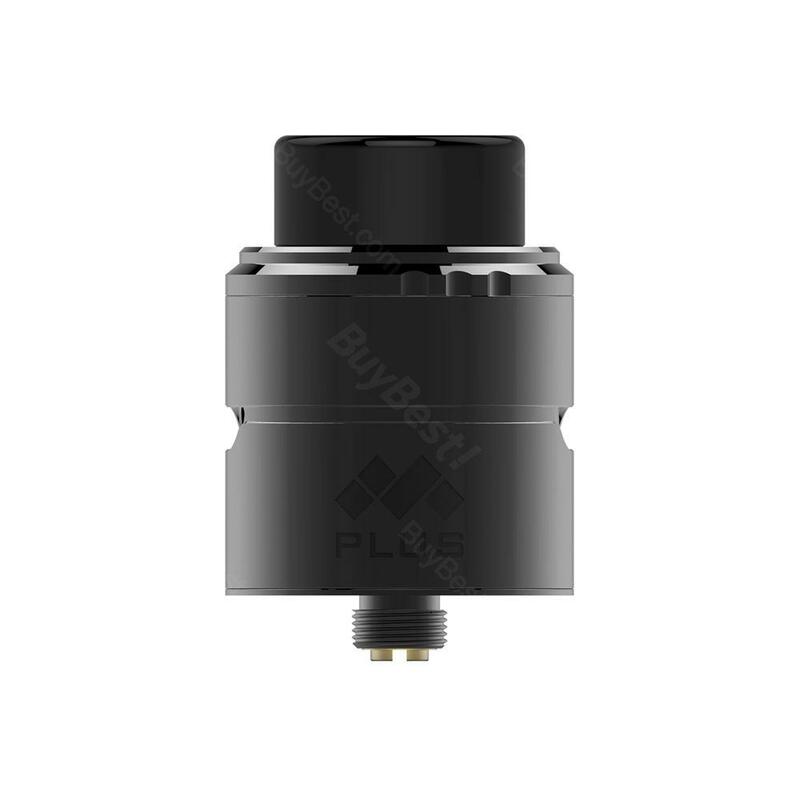 Now with mesh coil builds getting hot recently, Vapefly also introduced a Mesh Plus RDA and a Mesh Plus RDTA. They both come with a postless dual clamp deck which supports standard single & dual coil builds as well as mesh wire. 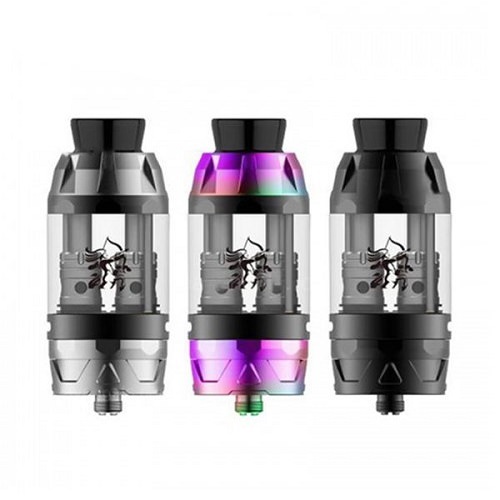 Vapefly adopts SS316 mesh coil with innovative no dry burning design on these two atties which will avoids the burning issue that most mesh RDAs have in the market. The deck features deep juice well, huge cotton space and oblique wicking hole for easy building & wicking. The adjustable side airflow offers smooth vapor & nice flavor. Both 510 and 810 drip tips can be used on these two atties. The Mesh Plus RDA also includes a bottom feeding pin which makes it compatible with a squonk mod. The Mesh Plus RDTA has a glass thank that is available at 2ml TPD version or 35ml stardand version. Three classic colors for your option. Vapefly Mesh Plus is an innovative RDTA with no dry burning mesh design. With the postless dual clamp deck, you can build mesh/single/dual coils. The precise airflow system offers awesome flavor and reduces leakage possibility. Now we are doing a 10% off Chinese New Year Sale, you can get this Vapefly Mesh Plus RDA at US$22.32 and the Mesh Plus RDTA at US$22.46.